Welcome She Writers to the Friend Grief stop on the latest Bloggers Ball! Some of you have been here before; some of you are visiting for the first time. I encourage you to browse the archives here, as well as this post. Writing about difficult subjects is harder. I wasn’t sure I was up for it. But those who follow this blog, the She Writers and the posse I’ve gathered have encouraged me and sustained me when I felt I was in over my head. Once a month I write about 9/11, and also about the AIDS epidemic. 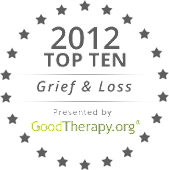 I share stories about people who are struggling as they grieve their friends, and about those who have made major life changes because of that experience. I introduce you to organizations and films and people addressing the phenomenon of “friend grief”. I’m not a professional bereavement counselor. I’m just sharing what I know. This blog has been a testing ground, of sorts, for my book. I was pretty sure I had a good idea. I just didn’t know if it would really resonate; because if it didn’t, maybe the book wouldn’t either. But now I know I’m on the right track (see my posts on what I’ve learned writing about “friend grief”), and She Writers have helped. So, thanks to you all! Writing has always helped me work my way through! She Writes is terrific :) I'm fairly new to the community, but I love how supportive everyone is. Thanks for stopping by on the blog hop, ladies! I agree - She Writes is great! She Writes is one of the most supportive, informative and creative sites on the internet. I'm proud to me a teeny part of it!